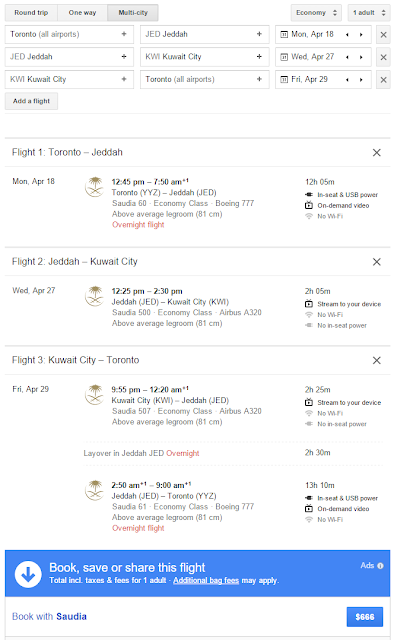 Normally $1000 CAD for a direct route /w taxes return from Toronto to Jeddah for 2016, the only way to drop that price is to have a 1 or any number of nights stopover in Kuwait. Same Instructions as above, same sites, and same date availabilities. Only change is the airports. I booked a flight to go to Jeddah, where can I get an Umrah visa? 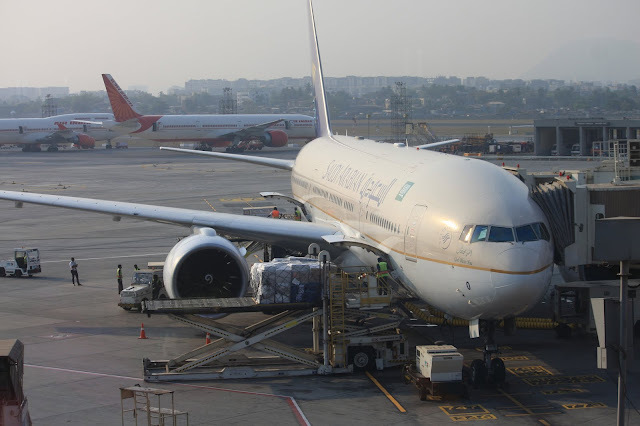 Use this page to check the official and authorized agents in Canada that will process Umrah Visa applications. The visa is issued by the Embassy for free. The authorized agents charges between $80 to $400 per person for processing the application. Apply early as Saudi Embassy is known for delays up till the day of departure.